Rome and the Cinema: Love at first sight!! Hundreds of more or less famous directors since the birth of cinema (about 1900) drew their inspiration from its culture, and especially from its beauty, to show it all over the world with many films. They have mentioned it, its legends, its brave men such as Julius Caesar, or The Gladiator, and their deeds. Bur Rome doesn’t live only in its past. In 1937 the city become International in the cinema too, because the studios of CINECITTA’ (called at that time “Hollywood on the Tiber”) were built. In those studios about 3000 films were shot, (you can visit the studios), Colossal such as “Quo Vadis?” by Mervyn LeRoy (1951), one part of “Ben Hur” by George Walsh (1925) and the unforgettable “Cleopatra” by Joseph Mankiewicz (1963). But it is only in 1945 that Rome let the Italian cinema know to the world, thanks to the director Roberto Rossellini, who shot “Rome open city”, a masterpiece played by two perfect Romans, Anna Magnani and Aldo Fabrizi, real sons of the “She-Wolf”. 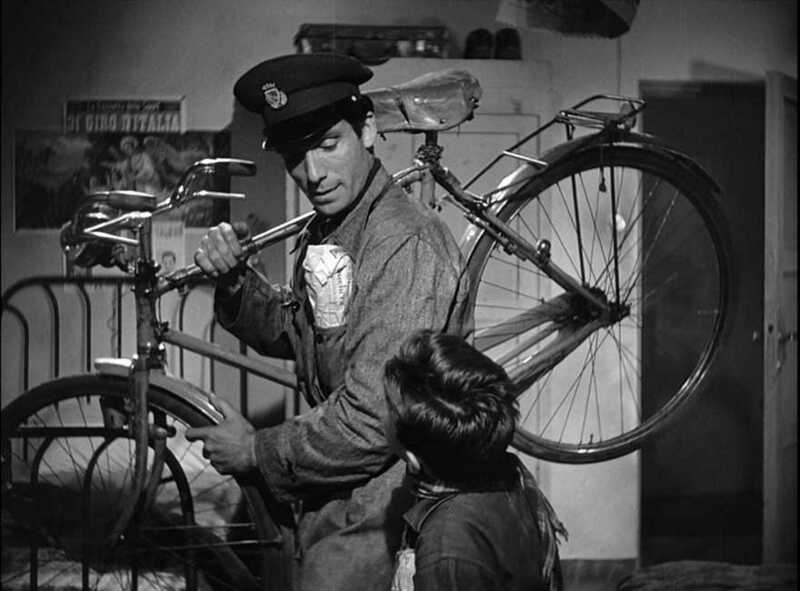 The director and actor Vittorio De Sica, made it famous and in 1948 his film “Bicycle thieves” narrates the real life of that period, whose the term “Neorealism” derives. 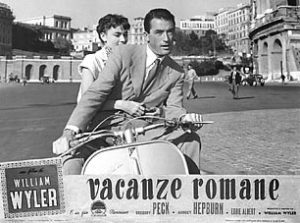 Rome becomes the most fascinating open stage, foreign directors and artists understood it, and in 1953 the film “Roman Holiday” by William Wyler with Gregory Peck and Audrey Hepburn was played. In 1960 Federico Fellini, heightens its features, and his charming and enchanting corners, through the film “The Sweet Life” played by the great Marcello Mastroianni, the director and the actor were both “adopted” by Rome. Rome lent itself, and lends itself, still today, to be a great stage: “Angels et Demons” by Ron Howard (2009) is an example of this. It stimulated thousands of tourists to go through the places described by Dan Brown again, and finally the film “The Great Beauty” by Paolo Sorrentino (2013). 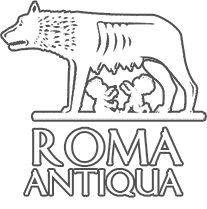 Rome was, however, the “mother” of its artists-sons, such as the great Anna Magnani, Aldo Fabrizi, Alberto Sordi, Monica Vitti, Nino Manfredi, Gigi Proietti,Vittorio Gassman, Carlo Verdone and many other actors, who are more famous abroad than in Italy, such as Mario Brega (great actor in the film “the Good, the Bad and the Ugly” by Sergio Leone), or Ninetto Davoli, (favourite actor by the Roman poet and director Pier Paolo Pasolini) who, together with the great Neapolitan actor Antonio De Curtis (stage name: Totò) offers a great success to the world cinema, shot in the suburbs of Rome: “The Hawks and the Sparrows” (1966). Walking along Rome make you directors, you will see suggestive framings and settings, you will go through thousands of films, you will walk on a great stage… Rome.